Going on a Family Break is supposed to be fun and relaxing, make sure it stays that way with our Holiday Packing Checklist for Families. 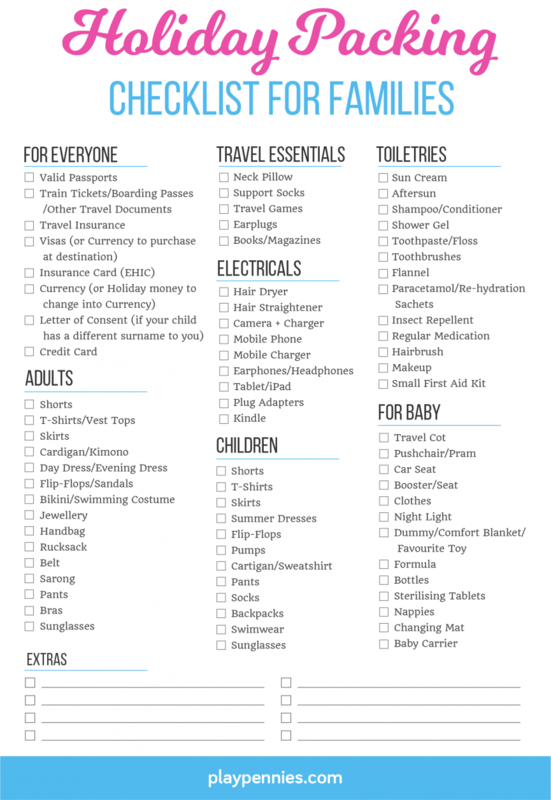 We know all too well how easy it is to leave something behind - so we have created a checklist to help you make sure you have everything you need packed. Letter of Consent if your child has a different surname to you and your partner. Why not check out our list of Travel Essentials for Kids? Where's the section that says don't let you pack so we are 8kg over on weight again?